Signups will re-open again quite soon I'm sure; there are always dropouts. Guys, signups will reopen soon. People always drop and we will have free slots for more ppl to signup. Just keep an eye on the PRT website the next two weeks. It seems that for the first time, we're not getting as many drops as usual, so signups may take a while to re-open. This is probably due to our new system which makes sure everyone is well informed of the basic activity requirements leading to less people making the mistake of not checking the forums. Still, we're removing inactive players on a daily basis, just less quantity than in previous campaigns. 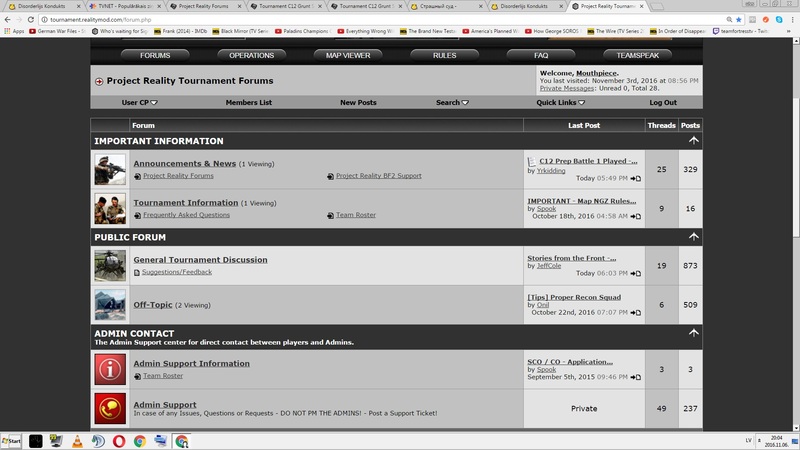 I really dislike the fact that I have to check the tournament home page every day whilst waiting for someone to be cut from their teams or not present. Can you maybe inform the general public at least a day or two before opening grunt signups again? It would be really nice. We won't be posting an announcement just for that but we will be bumping the "How do I signup?" thread on the PRT Forum, so you just have to have it subscribed. That said. I'm really proud of you guys and everything you're doing. It's what makes the community great. My only criticism is this - the fact that really dedicated, potentially really experienced people who for some reason couldn't sign up in that day when the signups opened has to open up a website every day JUST to check info if signups are open or not. Why didn't you just keep the signups open knowing that there will be a certain amount of dropouts? Or just make a different system (The main point of it - so people don't have to wait unnecessary). What I mean is that the process of people leaving a squad and joining it would be much more faster and simpler this way. I mean, if I was an SL I wouldn't like to wait form my squad to fill up only when the signups open again. And also for the potential recruits that didn't sign up when the signups were open - they would integrate faster within the squad and the team if they could hang around them whilst the signups are closed and they're waiting and waiting. OK, maybe it is a bit more complicated, but it would nullify these known problems - the fact that people have to wait, the fact that people have to check, check,check and doublecheck for nothing. EDIT: Ok, I only now read through forum post about the prep battle. Seems like you will open up signups shortly. So NOW there's actually no need for that informing I'm talking about. But in the future - IMHO it's a great idea. Last edited by Mouthpiece; 2016-11-06 at 17:26..
Everything you said about squads not having to wait for signups to re-open to have enough players is correct, that is why we have reserves! And that is why we always have 10 to 20 more signups than what the teams actually need, already counting with the drops from the first signups. The SCO's even often complain of having too many players in their teams because of those extra slots. Basically, this is not our first rodeo, we know what we're doing. People will always complain for either having too many or too little slots but the fact is that we have just the right amount of slots available in the first signups to account for the drops and for a good balance between members and reserves. That's currently 70 Members and 30 Reserves on first signups which should then drop to 65 Members and 25 Reserves, which are the numbers used until the end of the campaign. Once there are 10 slots available in one or both teams, we re-open signups. There is no set date for us to open signups since we can't really predict when the numbers drop. Specially in this campaign which is taking more time to stabilize the rosters in terms of keeping the active and removing the inactive. But we're checking every day and we're managing the player-base constantly with strict activity requirements. There is a system in place, it works as intended and will continue to be used. Mouthpiece, another thing you have to remember is we've already had people complaining that they don't get to participate enough in battles and we've only had one. Thats with current numbers and trust me, there are to many reserves already. Adding more people to the equation is just going to cause more hate from within the team and thats never good, its tough. Reserve Signups will be re-opening this Monday (14th) at 19h00 PR Time with 10 to 15 slots. First come first served as usual. Do keep in mind that there are limited slots (around 5 per team) meaning that if too many signup with a preference for Team X and don't want to be placed on Team Y, some will have to be placed on queue until numbers drop further in that team. That means that they loose priority to be placed in a team in these signups and more slots open up for people to signup for Team Y.